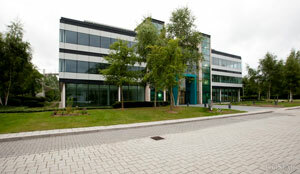 Five occupiers have signed for Reading’s 195-acre Green Park office campus in Reading. The occupiers have collectively taken 22,518 sq ft in 100 Longwater Avenue and 250 Longwater Avenue. Occupancy at Green Park now stands at 93%. • Pierre Fabre, one of the largest pharmaceutical companies in France, is relocating from Winchester into 8,040 sq ft. Pierre Fabre was assisted by CBRE in its relocation. Oxford Properties completed its 100% sale of Green Park to Singapore investor Mapletree Investments for around £563m in May. Oxford is continuing to act as asset manager on behalf of the new owner until year end 2016. Green Park is advised by Campbell Gordon and Cushman & Wakefield.